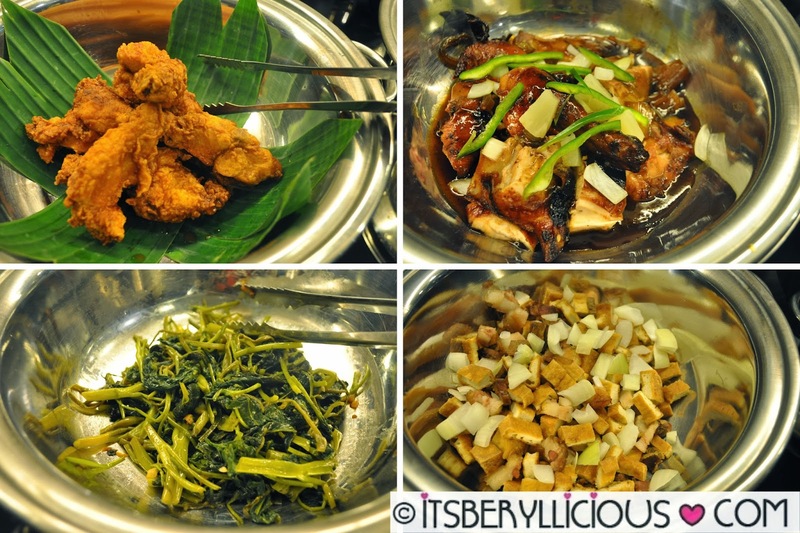 Remember my post about Toki Q- the first ever rotating bbq place in San Juan? 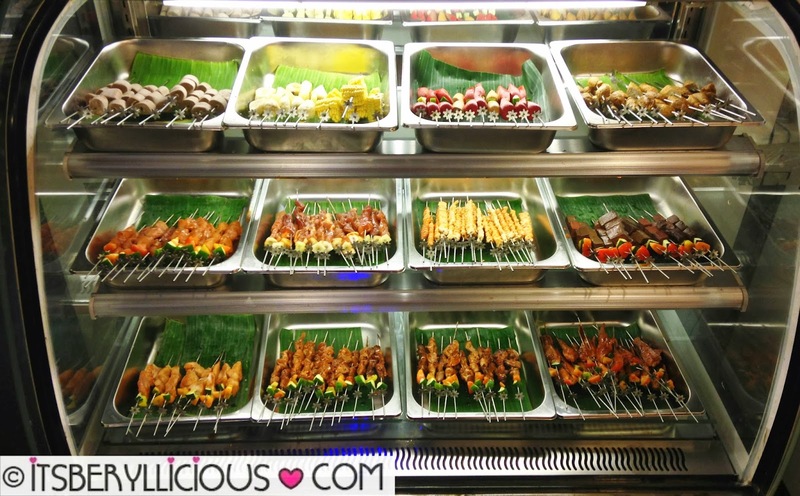 Well, there's another place with the same concept conveniently located in CTTM Square at the intersection of Tomas Morato and Timog Avenue (Boy Scout Circle). Only this time, it's better because you get to do it yourself and grill your own barbecue right in front of you. 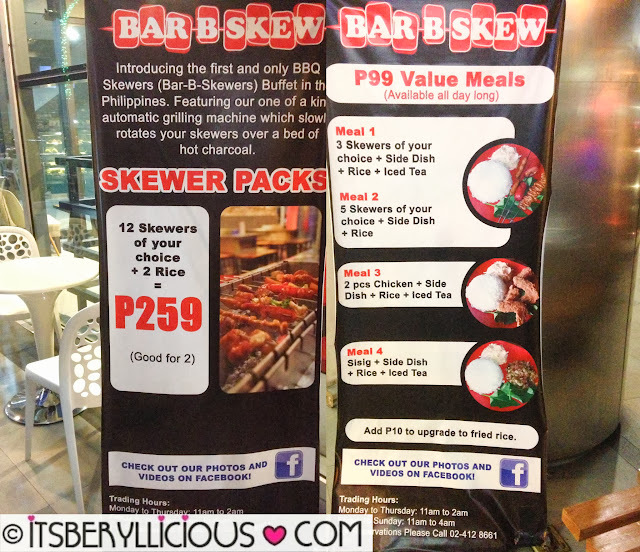 Introducing Bar B Skew, the first and only automatic rotating bbq grill that let its customers cook their barbecue skewers right at their table! Luckily, The Foodies Circle got the chance to try this one of a kind experience earlier this month. 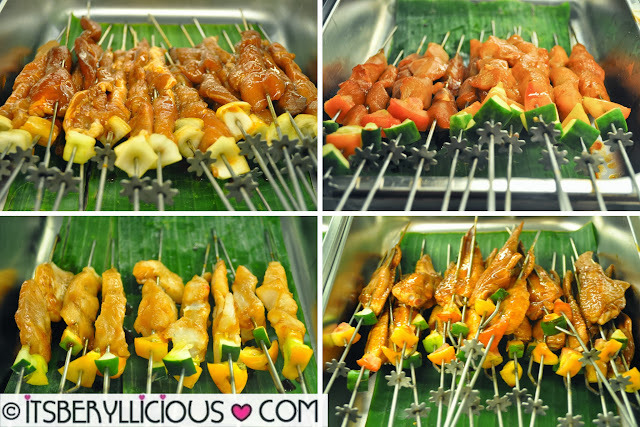 We tried their Bar-B-Skew Buffet (P299/lunch, P349/weekday dinner, P399/weekend dinner) which I think is a really great steal! 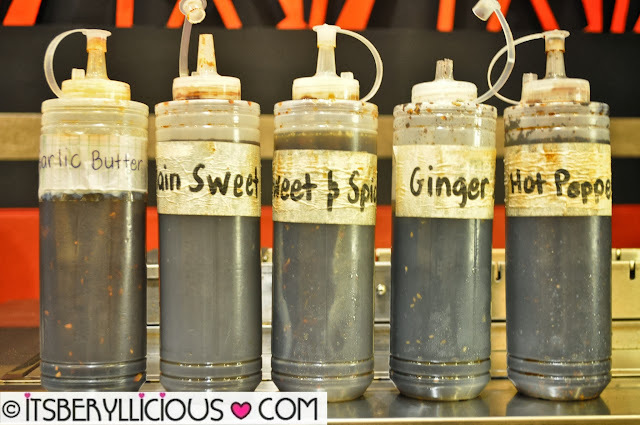 I love street food but since I have a trauma (ok, I'm just really scared) on injections and vaccines, my parents discourage me to indulge on these yummy delights. Bar B Skew is definitely the place for people who love barbecue skewers but are very particular with regards to the safety and quality of the food. All grill items are encased in a properly labelled glass display chiller to maintain their freshness and quality. 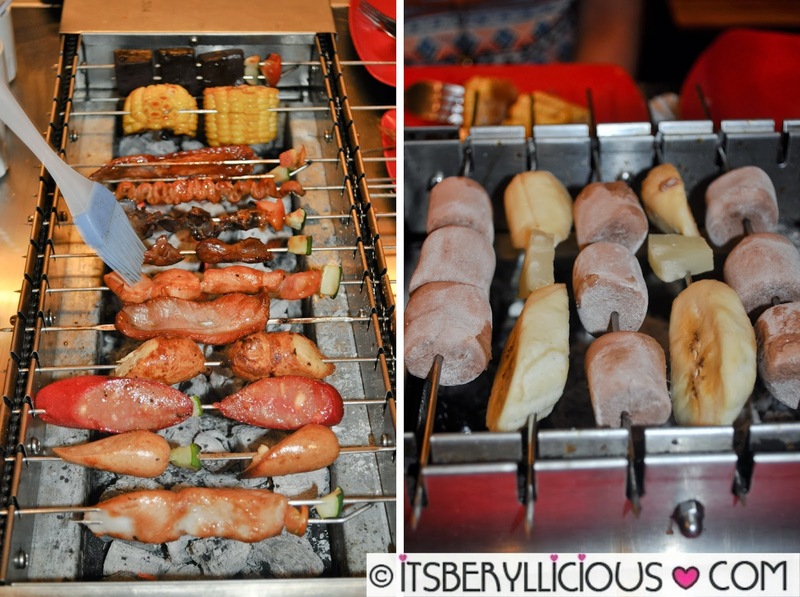 Choose from various meat selections, classic street food barbecue items, and dessert skewers. After filling up your plates with your desired skewers, choose from the different basting sauces- Garlic Butter, Plain Sweet, Sweet & Spicy, Ginger Sesame and Hot Pepper. 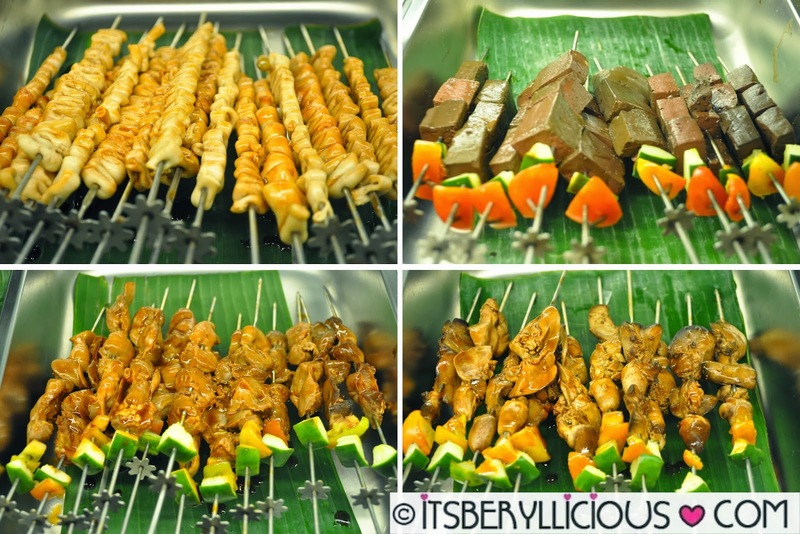 Aside from the barbecue grill selections, customers availing the buffet can also enjoy some hot dishes while waiting for their skewers to cook. The tabletop griller can hold around 14 skewers at the same time. 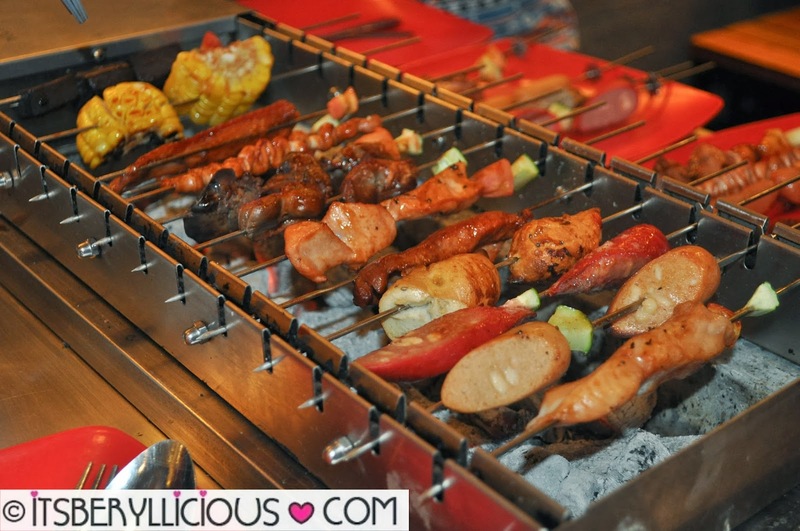 What's great about this machine is that you don't have to turn the skewers manually. The automatic rotating machine, enables you to cook your barbecue evenly on each side to prevent overcooking and burning. And since they use charcoal for their grill, expect the smoky flavor in every barbecue skewer. 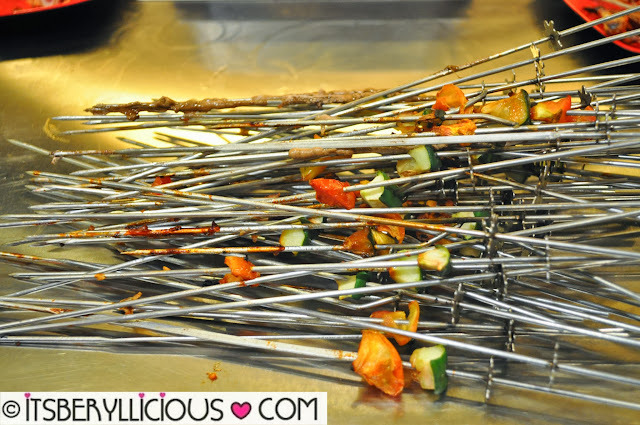 Don't forget to baste the skewers for added flavor and to prevent them from being tough and dry. We managed to consume 60+ skewers during our visit. We were told that customers normally eat around 25 skewers on average. Wow! So it's really worth taking advantage of their eat-all-you-can promo! Bar B Skew's buffet promotion is valid for a limited time only so I strongly suggest that you visit real soon. 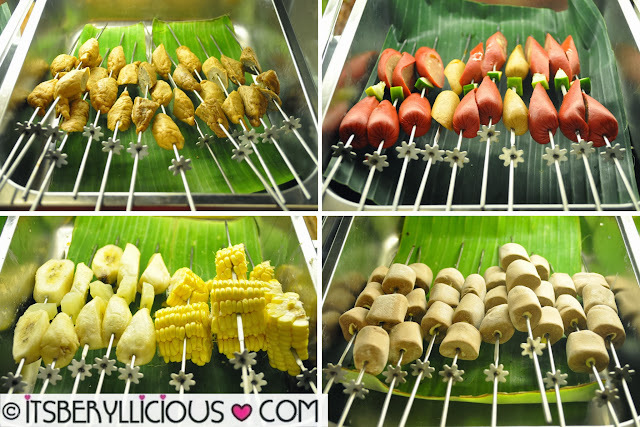 For as low as P299, you can enjoy unlimited grilling for 90 minutes w/ extra side dishes for you to enjoy. But if you think you can't consume a lot of skewers on your visit, then feel free to choose from their Skewer Packs or Value Meals. 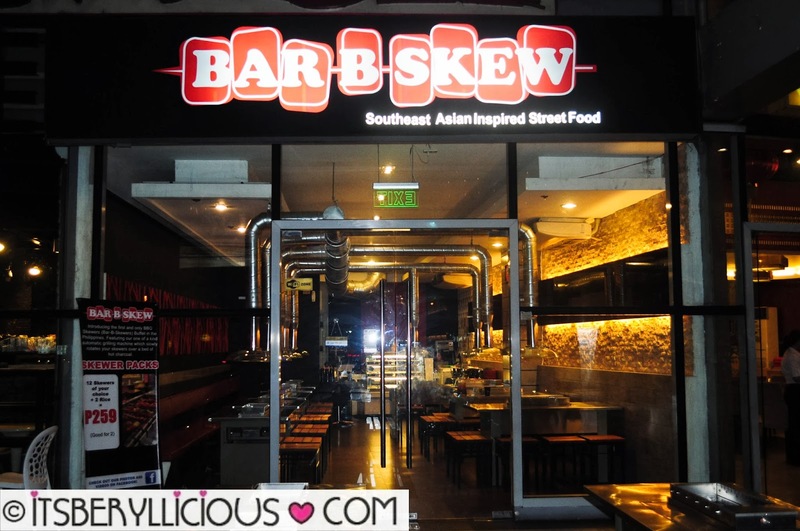 Bar B Skew is a great place for an interactive and fun dining experience. I highly recommend everyone to check this place out. 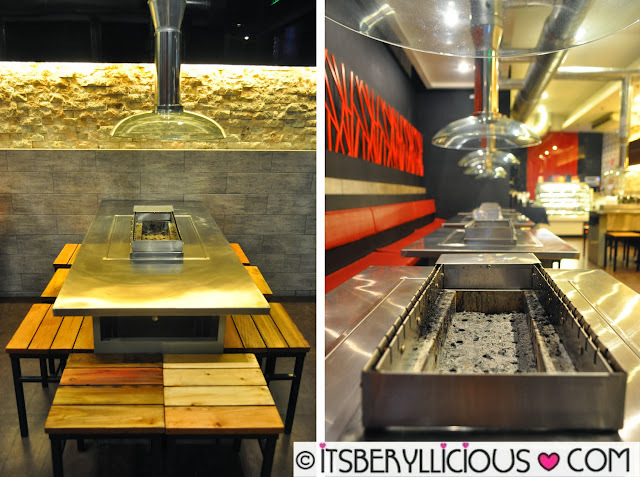 It's a perfect spot for late night dining or drinking with friends while bonding over a couple of beers and street food skewers.